TN Pandit says the Sentinelese have consciously shunned outsiders and advocates a great deal of caution in retrieving Chau’s body. New Delhi: With the passage of time, a lot has changed for Trilok Nath Pandit. But the memories of his time in Andaman and Nicobar Islands remain as vivid as ever. Now with the death of John Allen Chau, the American killed on the North Sentinel Island, they are very much in focus. Pandit is perhaps the only surviving member of the team that led a rare successful friendly expedition to the North Sentinel Island. In 1967, posted with the Anthropological Survey of India in the Andaman and Nicobar Islands, Pandit travelled with a crew of nearly 20 people to North Sentinel. It was, he says, a ‘blind’ attempt to explore the island that still remains shrouded in mystery. Unlike most other visitors, however, the Sentinelese did not react in an overly aggressive manner. “Around 15-20 of them (Sentinelese) watched us from behind thick forests. I don’t know if it was luck, chance or fate but they let us onto the island,” says the 83-year-old anthropologist. The team encountered a settlement with at least 10 huts, leading Pandit to conclude that at least 100 Sentinelese were present on the island. Chau’s death, Pandit says, has brought undesirable attention to the Sentinelese. “They are a peace-loving people. They aren’t an obstacle to any development projects. Why would anyone want to go for a picnic in their area?” asks Pandit, in response to the recent developments. On the possibility of recovering Chau’s body, Pandit recommended a good deal of caution and said there should be some element of luck as well. A trial team must visit the island to determine whether the Sentinelese are open to allowing visitors on the island, he says, adding that if they think the team is there to only recover the body, they may allow it. Pandit believes that the hostility that Sentinelese display towards outsiders is not a sudden phenomenon. “It has been passed down through generations,” he says. 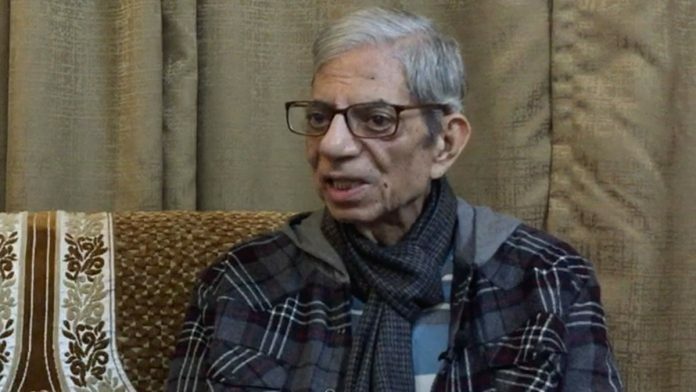 The antagonism can be traced back to British colonial times, according to him. In the 1880s, British naval officer Maurice Vidal Portman landed on the island with some of his men. The encounter resulted in the kidnapping of a few Sentinelese, thus cementing their mistrust of non-islanders. Pandit, even today, remains of the opinion that the tribe should be left alone and uses the example of the Jarawa tribe, who have come in contact with others, to illustrate his point. “The Jarawas began drinking alcohol, smoking tobacco and caught diseases that they wouldn’t have had they not been exposed to our culture,” he says. Pandit says the Sentinelese have made a conscious decision to shun contact. “They have canoes. They have chosen to stay away from us, perhaps, they think outsiders are dangerous,” he says. The lack of information about the Sentinelese has often given rise to speculation regarding the number of inhabitants on the island. Estimates have varied from as little as 15 Sentinelese, according to the 2011 census data, to about 500. “The 2011 census data is rubbish. In my estimate, there are at least 80 surviving Sentinelese on that island,” Pandit says. He bases his calculations on a simple formula – the island is nearly 20 square miles, which implies that there are enough resources for at least a hundred people. “Right now, they are surging. How long the tribe will survive, only God knows,” says Pandit. Pandit also dismissed the possibility of using drone technology to study the community. “Aggressive technology will not help, only time and goodwill can. Maybe in a few years, the community themselves will want to make contact,” he says. On his expeditions, Pandit says that the Sentinelese initially would grimace at the team. They would wave their hands in an aggressive manner. “Our languages might be different, but we understood them perfectly, they didn’t want us here,” he says. The team even decided to take the help of a few Onge tribesmen, another tribe native to Andaman, to make contact with the Sentinelese. They hoped that the languages may have some common roots, facilitating the contact. Pandit’s team took to placing gifts to gain their trust – a few coconuts, which don’t grow on the island, and some plastic toys. “If they were to our right, we’d go left and place the gifts,” he says. Of all his expeditions to the island, Pandit says two were the most significant. 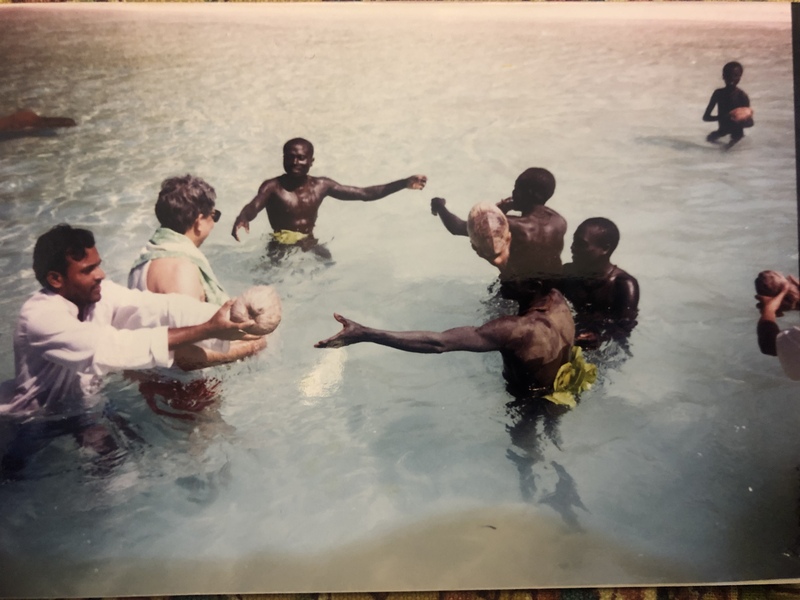 While the tribe let the team onto the island in 1967, in 1991, for the first time, the Sentinelese, he says, met the team halfway in the water. “They had decided that we weren’t dangerous, so they opened up to us a little. They also knew we had no intentions of staying on the island,” says Pandit. Even now, Pandit never fails to admit that there are many things about them that he does not know. “Yes, given a chance I would have loved to go back. Maybe when I was younger and fitter,” he smiles. A rare smile also lights up his face as he touches his spectacles, “They were so fascinated with my glasses. One of them even took a pair during a later expedition,” he says.